I have a confession to make. I have never watched Dragon Ball before. Phew, I needed to get that out of the way. So yeah, unlike many of the gaming websites that reviewed Dragon Ball Z Xenoverse 2, I am really looking at this game from a completely different perspective. Not only did I play this game without knowing what the game was like, I don’t know the characters, backstory, world, nothing. I know nothing about it. I feel like for a game of this style, the target audience for the game is the fans of the series. So coming from a background clear of Dragon Ball, I can really just review it based on how good it is as a game. Ironically, I am going to start off on story. Let’s just be clear, if you attempt to play this game the way I am playing it, you will still understand what is going on, somewhat. The story is basically your character going back in time to correct timeline inaccuracies. I assumed that they were talking about the timeline in the series, which I later confirmed via google. While I don’t know what the original timeline was like, I still really enjoyed it quite a bit. I bet if I was a fan of the series I would probably lose my mind. If there was a One Piece game like this, I wouldn’t be seen for weeks. 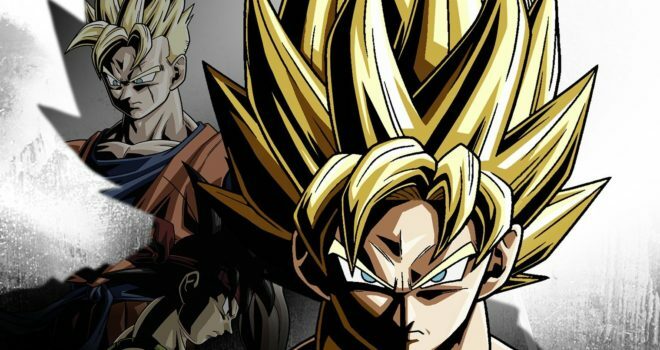 I think if you’re a Dragon Ball fan, this story might be the ultimate fan service because it feels like your character is a part of the series. I don’t want to go any deeper in the story than that but the inaccuracies may or may not be caused by a new bad guy. You’ll have to find the rest out for yourself. Dragon Ball: Xenoverse 2 relies heavily on fan service to carry the game but luckily it has very good gameplay to back it up. Xenoverse 2 is a fighting game with really fun and intuitive combat. There are many combos and even more unlockable attacks that keep the combat from getting repetitive or stale. While there are standard attacks that can get you relatively far, eventually you’ll have to pull off some simple combos to continue advancing through the game. The game certainly can be challenging at times but overall it stays relatively moderate in terms of difficulty. Outside of combat, everything is handled in a pretty large overworld hub, where you can find missions, train, converse with NPCs, and purchase costumes and other items. Another large part to the game is the online aspect, where you can quest with friends or battle in a PvP style fight. I tried the PvP once and let’s just say that I got “rekt”. I unfortunately didn’t try to play with friends but I am in the process of trying to convince my friends to purchase it and play it with me, because it would most likely be insanely fun. Having the online, will definitely add quite a bit of replay value to a game already loaded with hours of content. Xenoverse 2 is very well made game but it isn’t without some flaws. A minor flaw would be the graphics; while I think Xenoverse looks very good, I feel like they could have made the game look even better and feel more alive. I feel like the visuals in these anime games haven’t improved much since last gen. Another flaw would be the camera during battle. The battles in this game are over the top, you are mostly engaging in combat while in the air. Sometimes the speed of the characters feels too fast for the camera, it makes things get a little weird for a few seconds. It’s not a major flaw but it does become annoying sometimes. Most of the time, the camera does a great job keeping everything in view. Dragon Ball: Xenoverse 2 isn’t really a game geared towards me but that doesn’t stop it from being a really good game. Even though I am not a fan of Dragon Ball Z, Xenoverse 2 might just lead to that changing very soon. The combat is a blast, the game plays great, the story is interesting, and there is just so much content included. If you like Dragon Ball or even just want to play a story-driven fighting game, this game might just be the perfect game for you. The developers could have just sold this as a Dragon Ball fan service game but they really did a great job making it a really good, if not, great game.